A full-featured mobile point of sale device. Pint- sized. More than just a credit card reader. Use Clover Mobile as a standalone device or as a complement to your Clover Station. You get all the business-building features that Clover is known for, the ability to add optional applications to customize your system, and cloud-based data storage. Excellent for: Quick serve, food trucks, pay at the table restaurants, retailers (for line busing or inventory scanning), mobile service professionals, and off site events or festivals. A wireless, hand-held mobile POS device system with a full range of payment options. You have access to wireless downloads no matter where your business takes you. The touch-screen interface makes it easy to train on and use. Avoid walkouts during busy times. 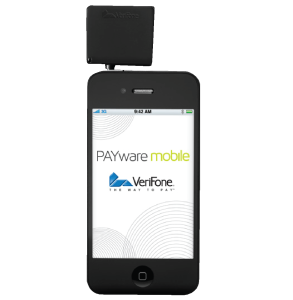 Engage the anywhere consumer and accept any form of payment with a mobile device. Close sales at remote vendor events or sidewalk sales. Create a checkout anywhere, anytime. Bust lines with mobile POS devices, eliminate cash registers and add more space for products. Go beyond the 4 walls and accept payments at outside sales events.